I wish I had found this Viz sooner! Having been that person in their car where I coasted down hills in neutral to save that ever shrinking bit of fumes that was keeping my car moving. 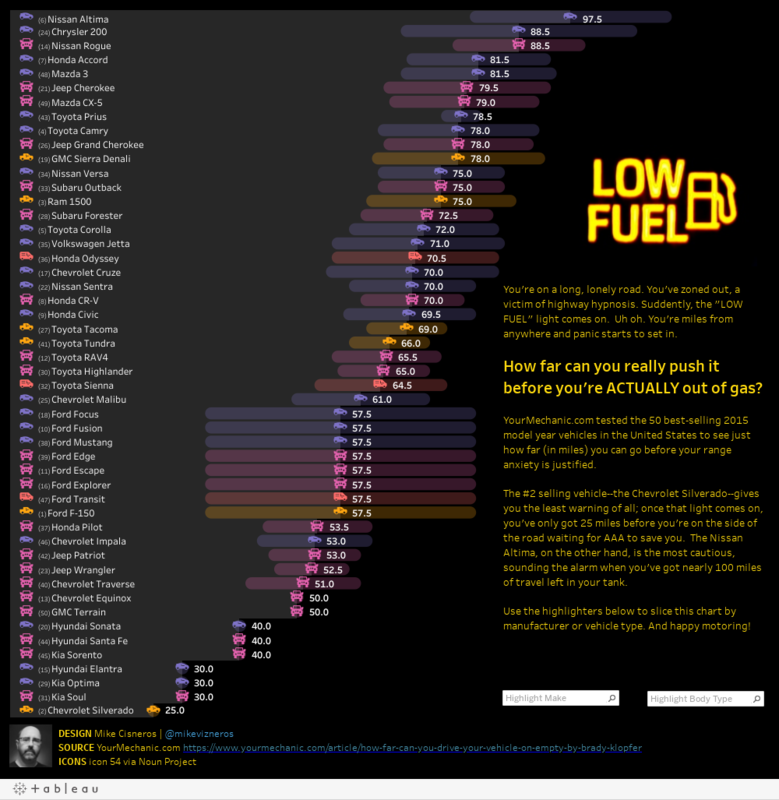 This amazing Viz that shows us just how long you have until that dreaded sputtering a lost of power will occur after the Low Fuel light comes on. Michael Cisneros created this beautiful creation to hopefully prevent us from ending up on the side of the road calling AAA(a car towing service in the USA). + Project Maestro Beta #4! Thank you for participating in the Project Maestro beta program. Beta 4 is now available for download! We heard your feedback and added some features we think you will enjoy. + Missed the awesome #ThinkDataThursday last week? Check out the video with Allan Walker found on our YouTube playlist. Our next Think Data Thurday will be announced soon! + We have two awesome Community memebers to honor this week for their continued contributions to the Tableau Community. David Mannering achieved the "I love helping!" badge for having 25 answers marked helpful. The other member we would like to recognize is Michael Ye for having 25 replies marked as correct earning him the "Questions for Breakfast!" badge. 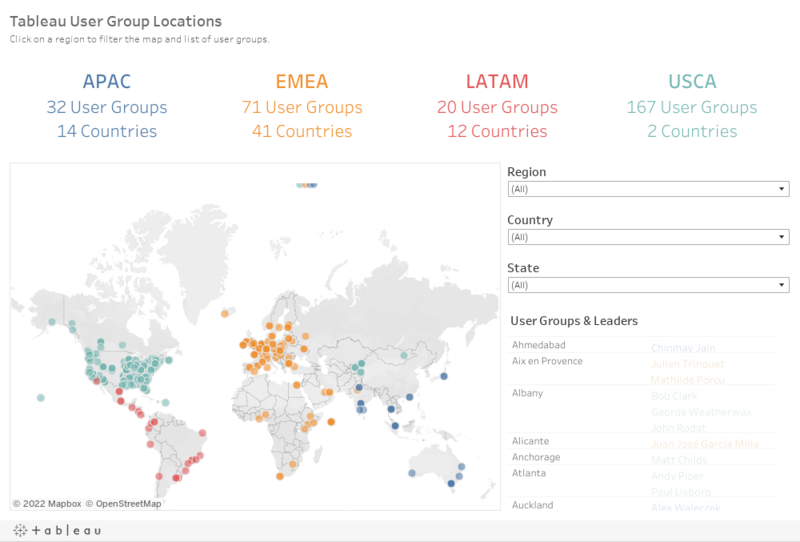 Thank you and all the Tableau Community members for participating and assisting eachother. + The post Make date from PY month was posted by daniel.andell at 11:25 PM PDT on March 7th and received his first reply from Tushar More on March 8th at 1:57 AM. Tushar provided his potential solution to Daniel and after some additional information and dialogue between them. Daniel and Tushar were able to create the desired results for the view. + Community member Darrin Schulte created one of the most voted on ideas in the Tableau Community, the idea Control what is displayed by View Data, receivesd a whopping 9 new votes last week!